Game of Thrones Season 6 Episode 2 Review: Home | Nerd Much? So what should have probably been in the season premiere came here in episode two, as we finally learn Jon Snow’s true fate. Is Jon Snow actually dead or is he alive? But like HBO, we’ll get to that a short bit later, as there were a ton of other juicy moments contained within the second episode of Game of Thrones Season 6. I will admit that I am, first and foremost, a bit disappointed by the limited screen time for Bran in his season 6 debut in tonight’s episode. 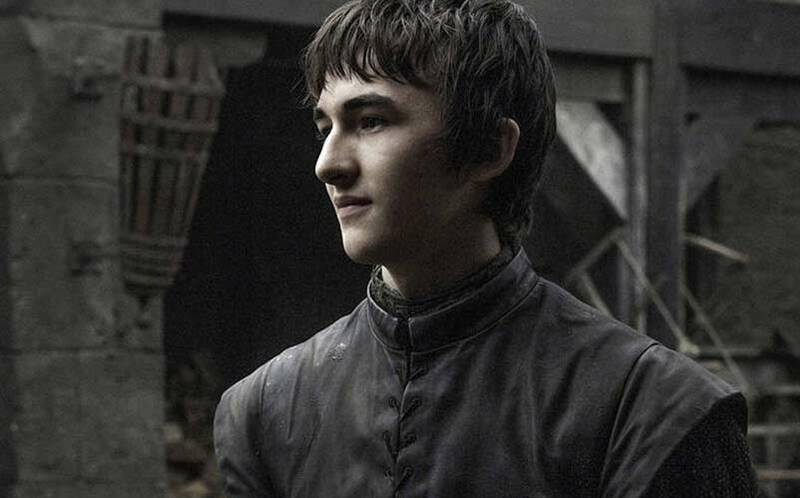 What I thought might be some serious Bran time turned out to be nothing more than just a few minutes of Bran training with the Three-Eyed Raven, and it wasn’t really filled with much substance, either. Through Bran, we find out that Hodor’s real name is Willas (of course it is), and that he used to be able to talk; he wasn’t always the tongue-tied man he is today. Sure, it was interesting to see what Hodor’s past was like, but as of right now, the brief flashback feels fruitless and unnecessary. Another interesting note — albeit a brief one — that struck me during tonight’s episode is the pure brutality of the reincarnated Gregor Clegane. How about that scene where Gregor smashes that man’s head right into the wall, killing him with one brutally violent blow. It felt like a finisher right out of Mortal Kombat. Also in tonight’s episode, we got to see what is undoubtedly going to be one of the most important scenes of the season, with Tyrion unchaining Daenerys’s dragons. It was mildly amusing that the last words Tyrion says before heading into the dragon’s domain is “it’s time they had their supper,” and then the camera cuts to Tyrion entering without any food for them, as if he were intended to be the supper. But, the scene definitely feels like it has some significance, and hopefully we’ll learn the importance of Tyrion setting the dragons free in the next few episodes. Following Tyrion’s scene, we’re cut to Brienne telling Sansa that Arya is still alive. I’ll note that Sansa’s reaction was almost as if she expected no less, and it seems as though she had faith that her sister were still alive this entire time, even taking a moment to chuckle at the fact that Brienne told her that Arya wasn’t dressed like a lady. And then, we’re taken to the b-tier storyline, with our first major death of the season. In tonight’s episode, Ramsey kills daddy Bolton after the new heir is born (it’s a boy), and then, to the surprise of absolutely no one, Ramsey feeds the mother and new baby to his pack of dogs. Thankfully, HBO took the more tasteful route, and we didn’t actually see any blood or guts or anything of the sort; all we hear are the screams of his mother as she’s chewed apart by raging animals. But Roose should have probably expected it, and going in for a hug and being that close to Ramsey was the worst idea he’s ever had; I saw that stab coming a mile away. Of course, that takes us to yet another death in the episode shortly thereafter, as Beylon Greyjoy meets his bitter end at the hands of his own brother, who ends up throwing him off a bridge after Beylon makes an attempt to kill his brother, first. Man, that’s one messed up family. And finally, we’re taken to the biggest scene of the night. Davos gives Melisandre an intriguing pep talk, noting that he’s not a devout man and all of the gods are the same. His words persuaded the Red Witch to attempt to revive the Lord Commander Jon Snow. And, apparently, Melisandre’s hocus pocus worked wonders, as at the last moment in the episode shows Jon Snow opening his eyes and taking in a deep breath, waking from his eternal slumber. Yes, apparently, Jon Snow is still alive. To what extent he’s actually “alive” is still a mystery, and I wouldn’t be surprised if he were some sort of soulless monstrosity; after all, Melisandre did say she knew a man who was brought back from the dead and he just wasn’t the same. It felt like tonight’s episode picked up the pace quite a bit, as viewers were spoon fed the death of two kings — two characters that weren’t very well liked, I might add — and were given the Jon Snow revival we were all hoping for. It’s likely that fans are going to be thankful too, as Jon Snow seems too important to the Game of Thrones endgame. I don’t know what it is about that scene with Tyrion setting the dragons free, but I feel like it’s going to mean so much more in the grander picture of it all once the season finale comes around. …more coming. Refresh in a bit. Still processing! What are your thoughts on tonight’s episode? Sound off in the comments below — we’d love to hear your thoughts as well.